Join us when WVIA-FM 89.9 presents NPR’s Mara Liasson for an exclusive Q&A session with meet & greet reception. Mara Liasson, National Political Correspondent for National Public Radio, reports on the White House and Congress. She also is a contributor to Fox News. 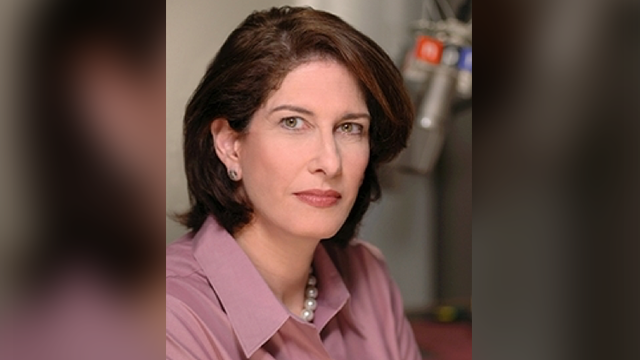 She is well-known for first-rate reporting that gives audiences a balanced view of news events centered in Washington. Her reports can be heard on NPR’s news magazines All Things Considered and Morning Edition. Mara Liasson is coming to our area to be part of the The Gathering at Keystone College. This year the conversation centers on exploring ways to restore respect and acceptance among us and to reconnect ours with the best ideals of our country. Before The Gathering, you have a chance to meet Mara in a special WVIA members-only event. Light refreshments will be served, and seating is limited. Already a WVIA Member? WVIA members attend free of charge! To reserve your complimentary tickets, email memberservices@wvia.org or call 570-602-1123. Not yet a Member? Become a Member Instantly by clicking here or calling (570) 602-1110. Join WVIA as a member for $40 or more, and receive a complimentary pair of tickets as our thanks. For more information about The Gathering at Keystone, click here or call 570-945-8510.